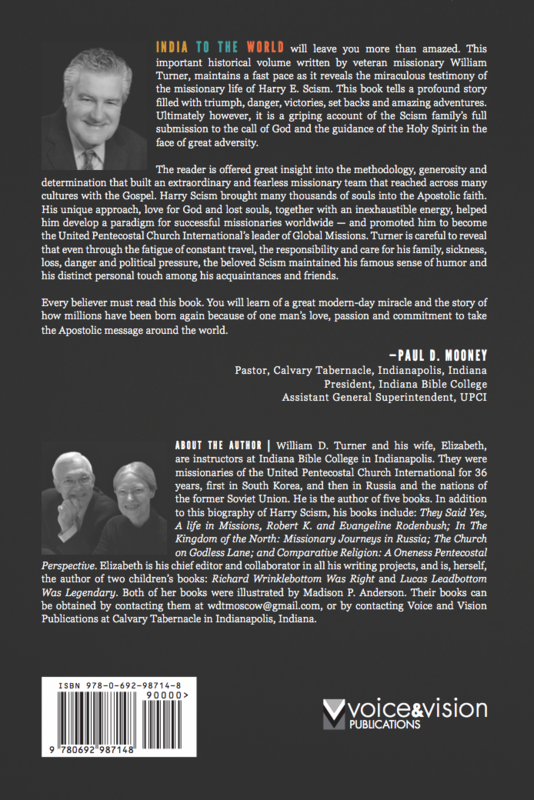 ABOUT THE AUTHOR | William D. Turner and his wife, Elizabeth, are instructors at Indiana Bible College in Indianapolis. 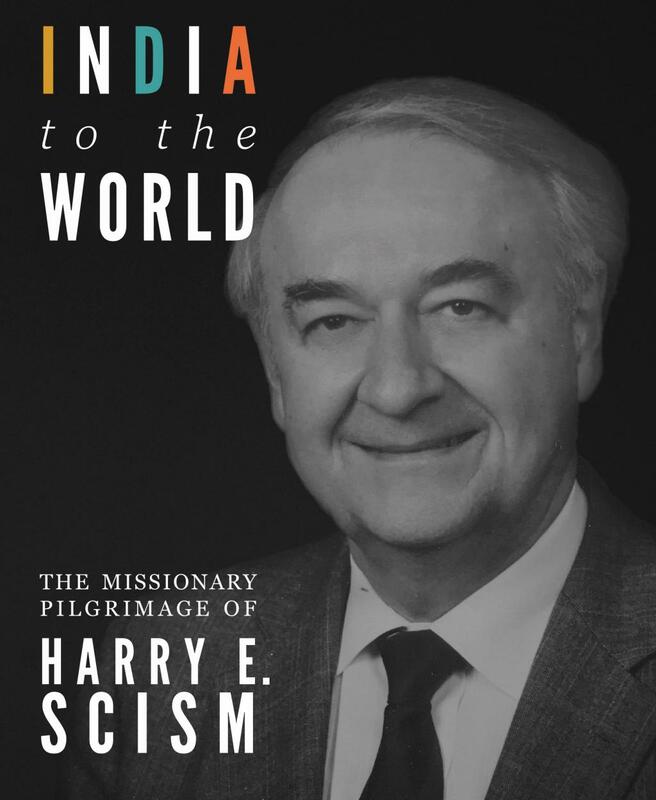 They were missionaries of the United Pentecostal Church International for 36 years, first in South Korea, and then in Russia and the nations of the former Soviet Union. He is the author of five books. 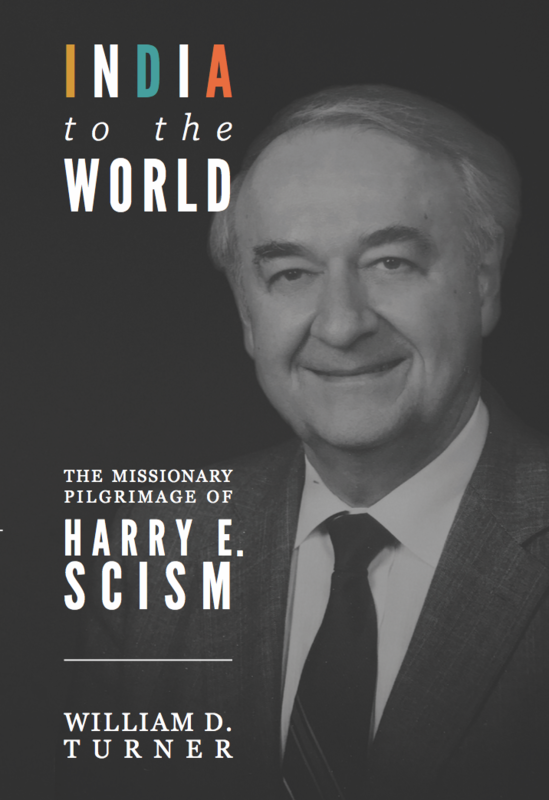 In addition to this biography of Harry Scism, his books include: They Said Yes, A life in Missions, Robert K. and Evangeline Rodenbush; In The Kingdom of the North: Missionary Journeys in Russia; The Church on Godless Lane; and Comparative Religion: A Oneness Pentecostal Perspective. Elizabeth is his chief editor and collaborator in all his writing projects, and is, herself, the author of two children’s books: Richard Wrinklebottom Was Right and Lucas Leadbottom Was Legendary. Both of her books were illustrated by Madison P. Anderson. 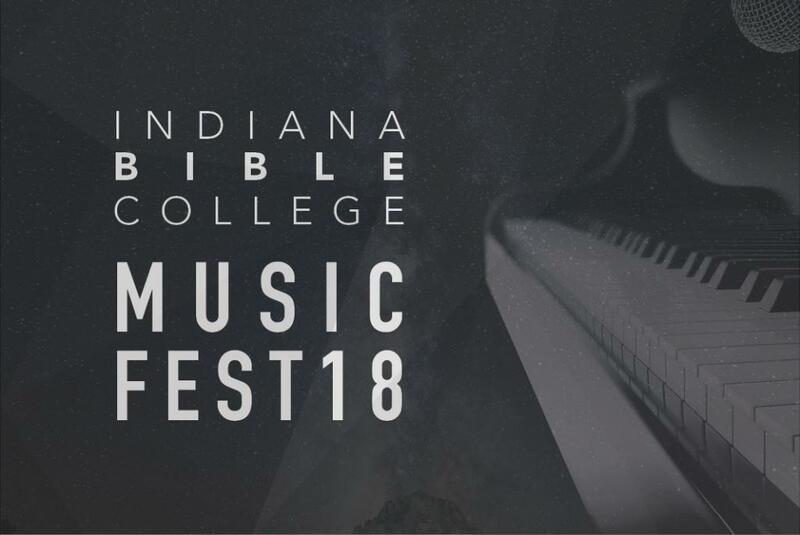 Their books can be obtained by contacting them at wdtmoscow@gmail.com, or by contacting Voice and Vision Publications at Calvary Tabernacle in Indianapolis, Indiana.